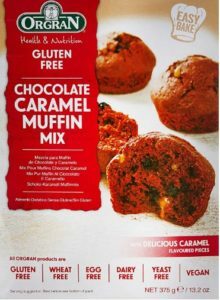 ORGRAN Chocolate Caramel Muffins are an indulgent easy to make treat which is a perfect snack to enjoy on the go. These delicious muffins also have the additional benefit of being freeze thaw stable so you can enjoy them later! So grab this delicious snack. Buy the product worth Rs.449 at Rs.214 only at Amazon.